The book offers a testimony on a unique agricultural phenomenon of the 1970s and the 1980s and includes period propaganda photos. They come from an archive of discovered slides that Zlín-based advert photographer Jan Regal took for the Slušovice agro co-op (JZD Agrokombinát Slušovice) between 1978-1990. 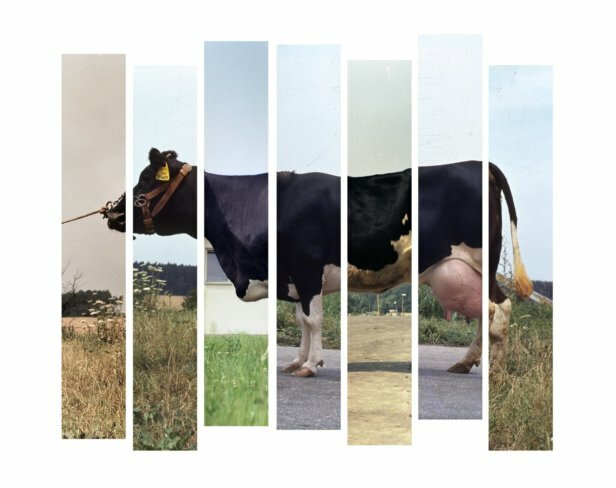 Tomáš Pospěch has interpreted this work and made use of processes typical for agriculture: he removed the photographs from their original context, tended, replanted, grafted, aerated, and then harvested and composted them. 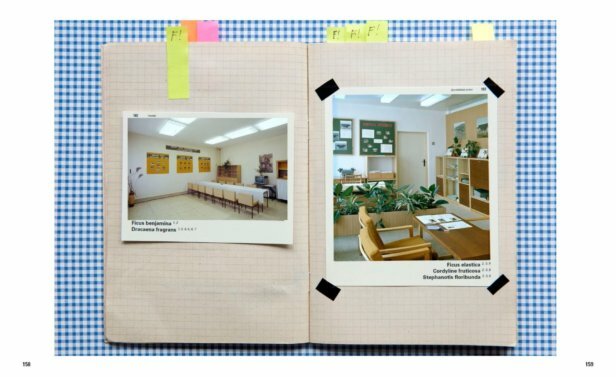 The result is a playful book that is a peculiar documentary: as expressive as the artist himself. JZD Agrokombinát Slušovice was a huge agricultural co-op, at which, following the example of Baťa’s companies founded in nearby Zlín, workers attempted to apply capitalist principles for doing business in the conditions of then socialist Czechoslovakia and the Eastern Bloc. The book attempts to reconstruct ideals, the principles of promotion and the typical activities of socialist Czechoslovakia in the 1980s. However, it’s mainly about a dream. It’s about an attempt to create a wonderfully-functioning enterprise with motivated, high-performing employees; to combine the ideals of socialism with the economic elements of capitalism: and also about the inability to achieve those goals. The official book launch will include a discussion with Tomáš Pospěch and Fotograf Gallery curator, Jiří Ptáček.